Fort Collins Landscaping Services: Winter Is Here! Have You Blown Out Your Sprinklers? Winterization is extremely important in a climate like Colorado. With the long winter, the ground can become frozen down to the level of your buried irrigation system. When water freezes, it expands, and this expansion can cause serious damage to sprinkler systems that have not been properly winterized. 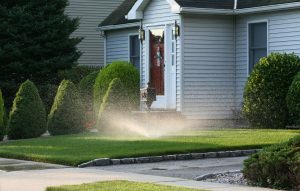 In Fort Collins, sprinkler blowouts performed by landscaping are an important part of the winterization process because our freezes can be long in duration and go deep into the ground. These deep freezes put irrigation systems at risk for all sorts of cracking and breaking which can result in much more expensive repairs. As always, prevention is the best method. Our landscaping technicians are ready to serve Fort Collins and all of Northern Colorado for sprinkler blowouts. Our friendly and professional crew understands that the customer experience is the most important aspect of our business. Our attention to detail is unmatched. With years of experience in the industry, we have learned that there is nothing our customers value more than getting what they are paying for. That is why we make sure to ask every necessary question, to make sure we know exactly what it is you need from us. You can expect thorough explanations of any task you put before us. Also, you can rest assured that our staff are trustworthy and well mannered at all times. As your neighbors, we understand this community. We are also grateful for all of our customers and that is why we go the extra mile with our customer service. Call us today to see why more and more residents of Northern Colorado are choosing us for all their landscaping needs.